Another day. Another lost recipe. Today’s find=French Silk Chocolate Pie. Sure you can find some in your local grocers freezer section so it technically isn’t that lost of a recipe, but the reason I included it is because most home bakers refuse to tackle such a pie on because the original formula used raw eggs and as we know these days is completely unsafe. 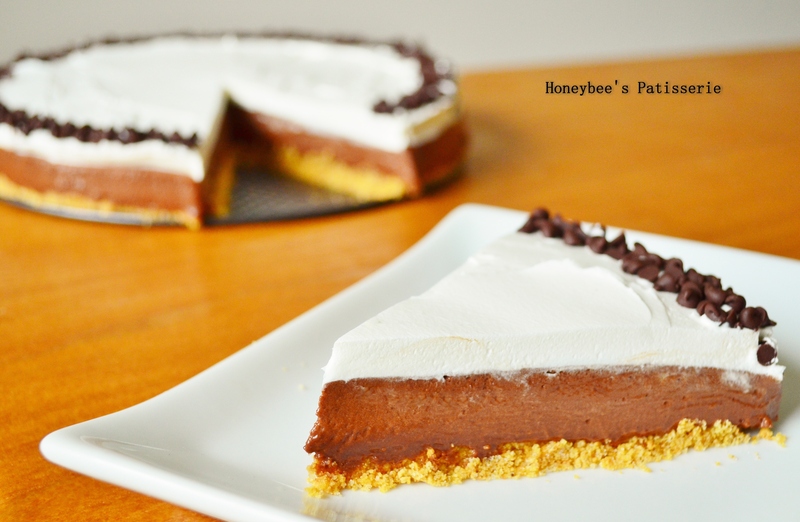 Second of all it is a pretty involved recipe and in our daily lives it is hard to fit in time to make any type of pie let alone this type, and if you want this type it is very tempting to just grab one from the freezer section, de-thaw it, and voila it is ready to serve with ease. In fact the way I stumbled upon this pie was from the freezer section of my local supermarket when there was a sale on pies. This caused me to look up its history. Despite the name including the word “French” this pie is an all-American concoction. It’s first appearance was at the Pillsbury Bake-Off competition of 1951 where its creator, Betty Cooper of Maryland, won the $1,000 prize. The pie is classic icebox style with an exotic name that reflects the international curiosity of postwar America. Originally Betty Cooper used a pie crust. I decided to switch it up for a more simple graham cracker crust. To whisk the chocolate portion of the filling into a light, silky texture without the use of Cooper’s raw eggs formula, a double boiler is necessary. Now I don’t buy those pricey contraptions. To be honest they are gimmicks to the baking enthusiast but completely unnecessary. Just take a large saucepan and a slightly smaller heatproof bowl that will rest securely on top of the saucepan. Place enough water in the saucepan to bring to a simmer but not boil. Place the bowl on top of the pan making sure the simmering water does not touch the bottom of the bowl. And there you have it… a homemade double boiler. Heck if you don’t have a heatproof bowl you can always use a slightly smaller saucepan in place of the bowl. Now the reason the double boiler is necessary is to cook the eggs. Pillsbury offers a simpler option for the original bake-off recipe by using egg substitutes as a way to be safe but these give off an artificial flavor that is no different then going back to the frozen section and buying the pre-made ones. By beating the eggs with sugar over the double boiler you incorporate air which gives the filling the light texture that is so desirable about this pie. When the egg mixture reaches the safe temperature it gets very thick and foamy. This is when you remove it from the heat and let it cool down. Once it is cool you can add the chocolate and butter which gives the pie the signature rich flavor and silky smooth texture. While researching this project I realized the drastic changes made to the Pillsbury Bake-Off competition. What used to be a competition that was pretty much open to any creative and delicious baked good now became a competition that forces contestants to use Pillsbury products like cookie dough or crescent rolls as their staple ingredient and therefore market the brand more than baking innovation itself. This competition is just a reminder of how our society has changed over the years. Contestants in the 50’s were treated like celebrities. Contestants wore corsages on fine outfits, worked in facilities set up at the posh Waldorf Astoria Hotel in New York City, and were served dishes like Guinea Hen Breast and Nectarines Flambe at a complimentary dinner… fare reserved nowadays for only the finest of restaurants. The Bake-Off certainly has a rich history, dating all the way back to 1949 when it debuted as the “Grand National Recipe and Baking Contest”. General Mills probably had no idea that it would launch the most recognized of all modern American recipe contests and have such an affect on America’s culinary heritage. The original grand prize winner for No-Knead Water Rising Twists won $50,000, an award so prestige at the time it was presented by Eleanor Roosevelt. 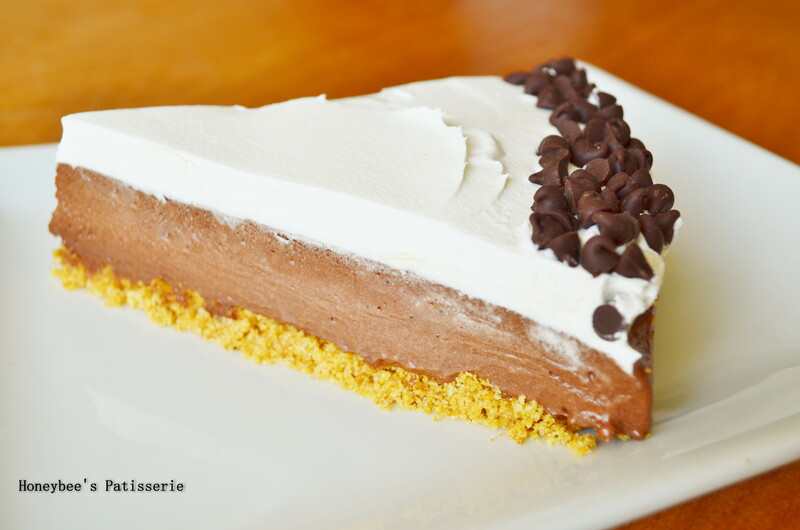 In 1954, Open Sesame Pie became so popular it launched a nationwide use of sesame seeds. In the years to come, the kids bake sale favorite, Peanut Blossom Cookies would rake in millions for the Hershey Company and the Tunnel of Fudge Cake would launch the popularity of the Bundt pan, causing factories to work round the clock to keep production up to consumer demand. 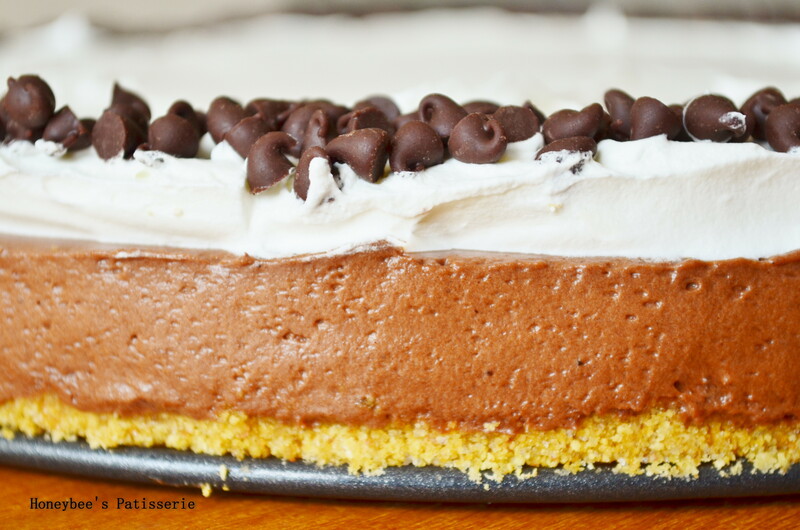 Although French Silk Pie didn’t retain the initial popularity it gained in 1951, it is definitely a pie worth revisiting, with just a few modern tweaks. Note: You may use homemade whipped cream for the topping or a tub of Cool Whip for convenience. 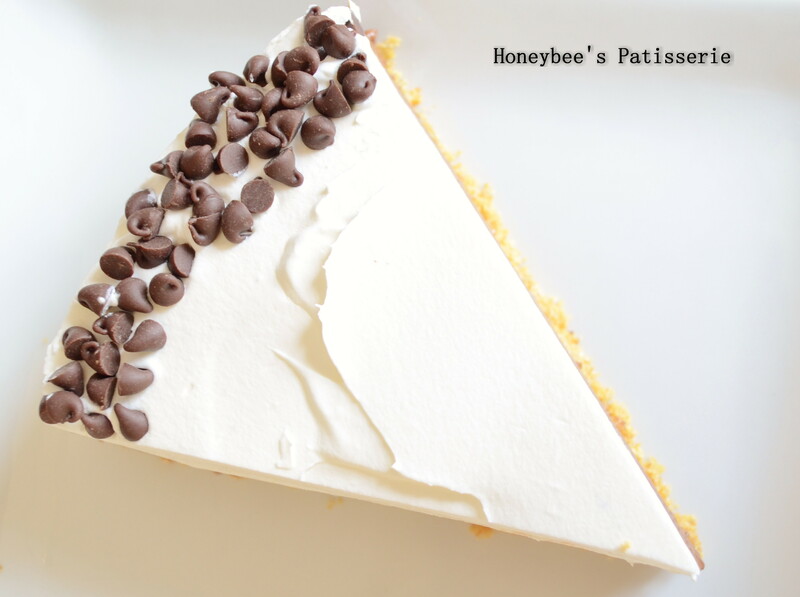 A garnish of miniature chocolate chips around the outer edge of the pie is optional but a great finishing touch. Pie serves 8 to 10 people. Store in the refrigerator up to 3 days. Prepare the crust: Melt butter in a small dish. Mix graham cracker crumbs and sugar together. Add the melted butter and stir until no dry crumbs remain. Line a spring-form pan with food grade acetate. Press graham cracker mixture evenly into the bottom of the prepared pan. Set aside. With mixer on medium-high speed, whip cream until stiff peaks form. Refrigerate. Combine eggs, sugar, and water in a large heatproof bowl set over a medium saucepan filled halfway with simmering water. Be sure you don’t let the bottom of the bowl touch the water. With a hand mixer set to medium speed, beat egg mixture until it has thickened and registers 160°, about 7 minutes. Remove the bowl from the heat and continue to beat until the mixture has cooled to room temperature and the texture is fluffy, about 8 minutes. Add the melted chocolate and vanilla to the cooled egg mixture, beating until incorporated. Beat in the butter, one piece at a time, until well combined. Using a spatula, fold in the whipped cream until no streaks of white remain. Scrape filling over the graham cracker crust and refrigerate until set, at least 3 hours. Once set, whip heavy cream to medium peaks or for convenience use a tub of Cool Whip and spread evenly over the set chocolate filling. 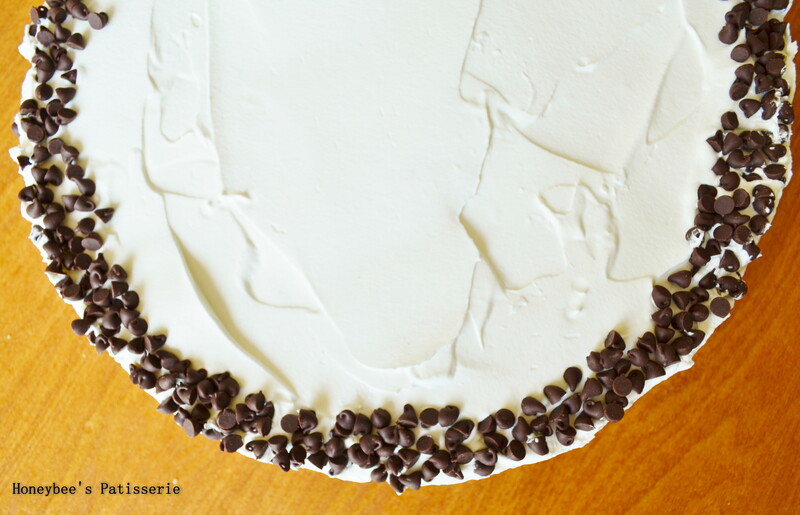 If desired, sprinkle miniature chocolate chips around the outer edge of the pie and serve.